What even are some of these words? 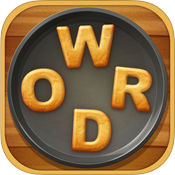 Word Cookies is an extremely easy word game to jump into. You just swipe between letters to create words, then let go of the screen to submit your creation. If it's correct, you're one step closer to finishing the level; if it's wrong, no biggie. It's mostly just tracing out words, but there are a few things to look out for. Take your time. There's no timer, and no penalty for guessing incorrectly. If you're having trouble (eventually), slow down and give yourself time to ponder the letters in front of you. Shuffle it up. Are the letters in the tray not making sense to you? Tap the Shuffle button to mix up their order. It doesn't affect your score, and a different alignment may help new words stand out to you. Pay attention to the blank spots. You can see how many words of varying lengths you need to complete a level at the top - denoted by the empty squares. Keep track of how many of what you need, so you don't waste effort trying to find words that won't actually help you complete the puzzle. Keep an eye on your completed words. Every time you put a proper word together for the level's solution, it'll show up on the list at the top of the screen. Not only will this help you keep track of what you've already spelled, but there's an order to the list that can help with other spelling. For example, all the three letter words in a given puzzle that begin with 'R' will be grouped together, so if there's a gap between two R words on the list you know you can spell one more. Completed words in the list can also help you figure out what you're missing. Sometimes it's easier to look at the words you have and imagine rearranging those letters than it is to look at the jumble of letters you have in the cookie tray. Get a hint. If you're stuck on one last word, you can spend 25 coins to get a hint that will reveal the first letter of that word. If you're still having trouble, you can spend another 25 for another hint and see the second letter as well, and so on. If there's more than one word left unsolved, the hint will be applied to the word closest to the top/left of the list and progress down from there. Don't overthink things. More often than not, the words you need to complete a level are actually quite simple. If you get hung up looking for more complex words you're likely to miss the easier ones. Shuffling and whatnot can help, but if you want to avoid spending coins on hints you'll want to keep this in mind. Word Cookies is functionally just fine. It's a word game, and word games are generally quite enjoyable. The problem is it takes far too long to present any sort of real challenge - time that could be better spent playing other more satisfying word games. There's no shortage of word games on just about any gaming platform in existence, but that's okay. I mean, crossword puzzles are still popular, so it stands to reason that word games of all kinds will never truly go out of style. That said, Word Cookies treats you with kid gloves for so long it actually gets quite irritating. Each level in Word Cookies presents you with a tray of letters and a few blank spaces that need to be filled with words. All you have to do is trace a line from the different letters in the tray to spell out words, and get rid of all those blank spaces. It's super easy to jump into and plays so smoothly I've often gotten ahead of the 'you spelled a word!' accolades and had to wait for the game to catch up. There's an unexpected level of satisfaction to be had from tracing all those letters together in rapid succession. Spelling words to get points or complete levels or whatever has always been something I've enjoyed, and here it's no different. Word games are still popular for a reason. That said, it takes WAY too long for Word Cookies to ramp things up. I'm used to games that have a few super simple introductory levels, to give players a chance to get used to everything, but what we're given here is overkill. 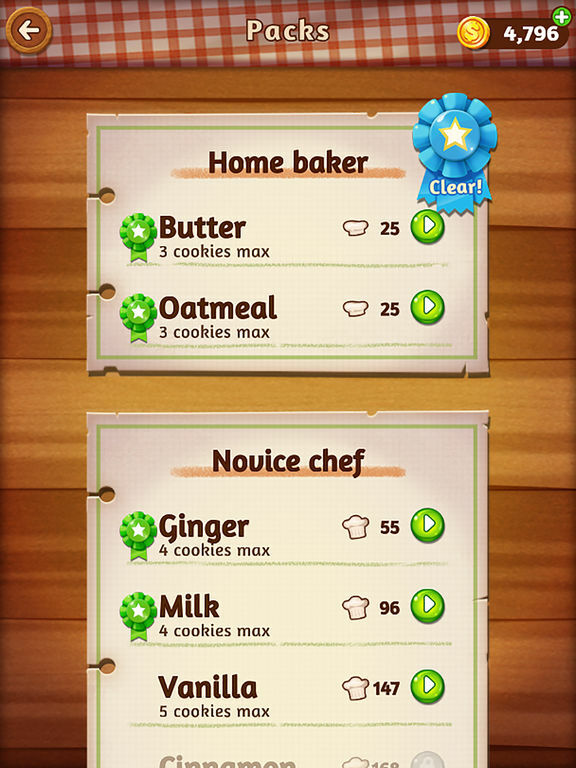 Things start off with the Home Baker difficulty and it's, well, not difficult at all. It's brainless and boring. I expected things to pick up once I reached Novice Chef, but nope. It took until almost half way through Novice Chef (that's over 25 levels in the one difficulty alone) before I felt any sort of pushback from the game. I mean I know I complain about abrupt difficulty spikes all the time, but having things take so long to stop being grade school easy is just as bad. You'd think the word inconsistencies might artificially increase the challenge but no, they're just annoying. You see, each level has a set number of words (of varying lengths) you need to spell out, but you'll often spell words that aren't actually solutions to the puzzle. Ignoring the fact that this seems counter-intuitive in the first place (at least 'extra' words are added to a pool that will grant you a bonus after certain milestones), it's also obnoxious because you can only see the 'correct' words you've already made, which leads to lots of accidentally spelling out the same words over and over again until you guess what the game wants. Then there are the words that make no sense, or the words that do make sense but aren't recognized (like 'oh,' for example - and yes, this was in a level that allowed for two letter words). There are a whole lot of weird gaps here. 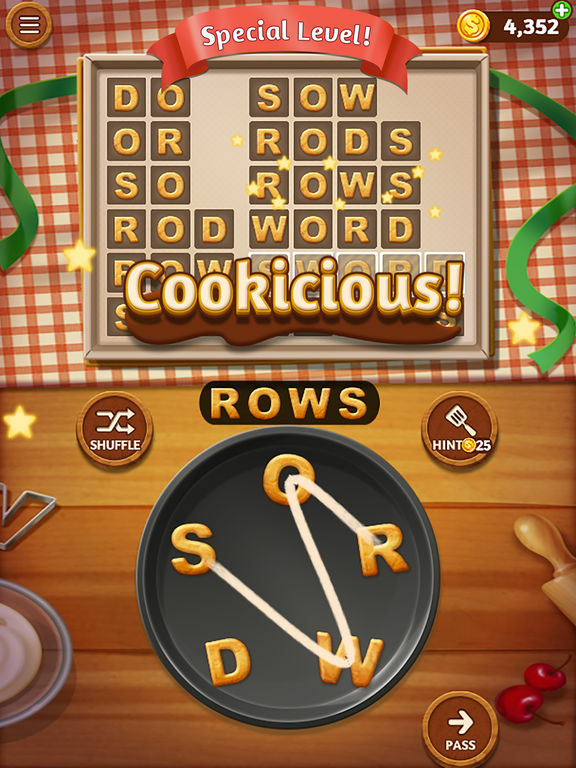 Word Cookies is passable in the sense that it's a word game, and word games tend to have a consistently satisfying feel to completing their puzzles. However, in this case the excruciatingly glacial challenge progression and the spelling oddities get in the way of most of the fun. It's not awful, but there are much better offerings out there.